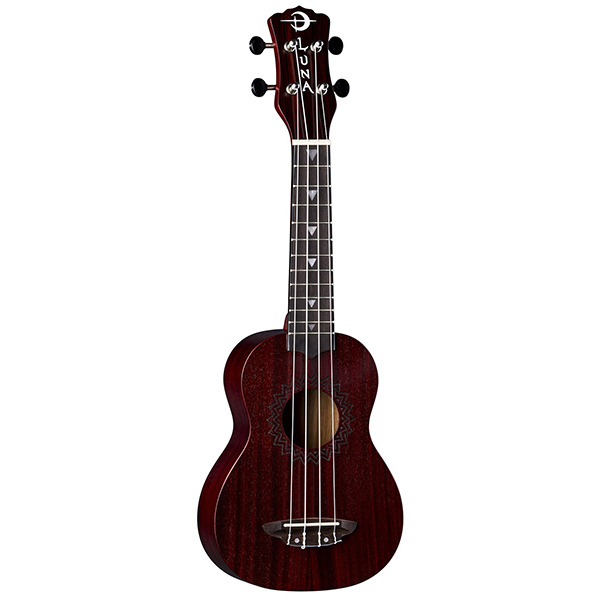 Its time to take your baritone ukulele talents on the big stage! 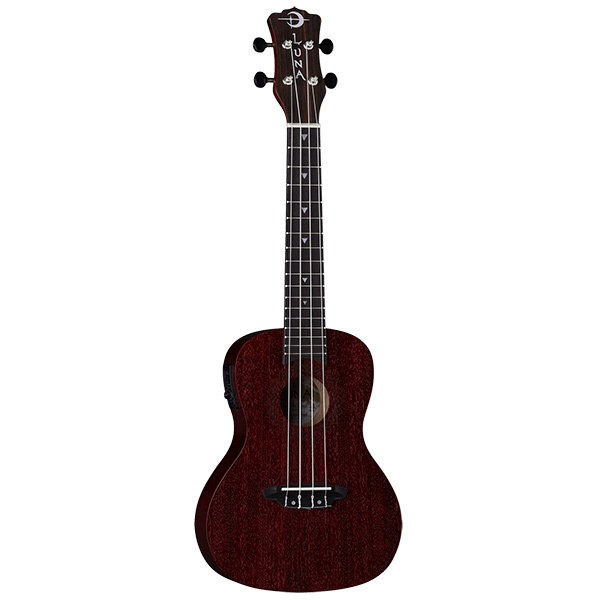 Yes, an affordable baritone uke with a preamp is possible without sacrificing our high standards in quality. 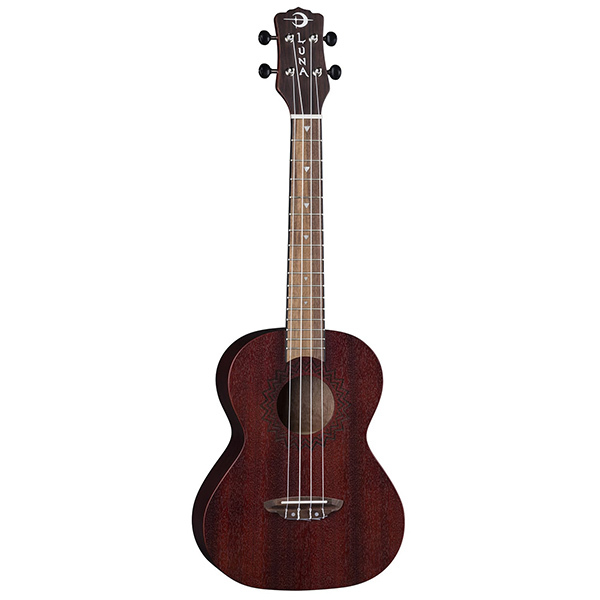 Luna continues its commitment to creating quality ukes at an affordable price by welcoming a new Baritone Ukulele Acoustic / Electric to the line. Adding on to the already popular Vintage Mahogany Series, the Vintage Mahogany Baritone Electric offers a traditional baritone body, walnut bridge and fretboard, 19 scale length and beautiful pearl triangle inlays. 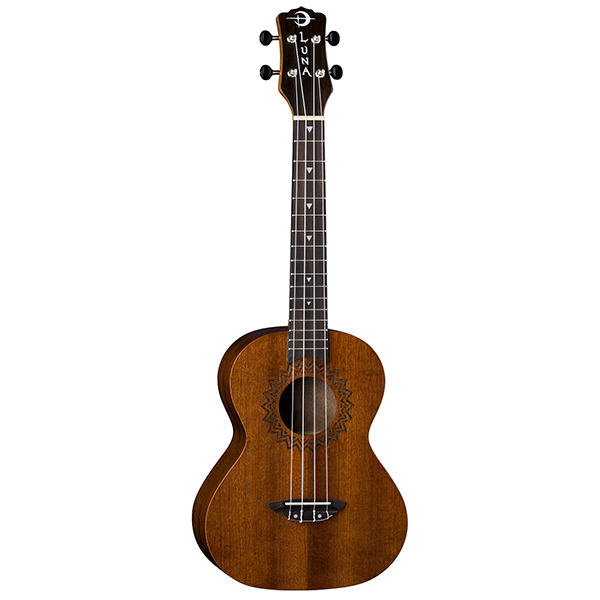 The signature laser-etched rosette design around the sound hole is just the right touch of design, married with its traditional brown color. 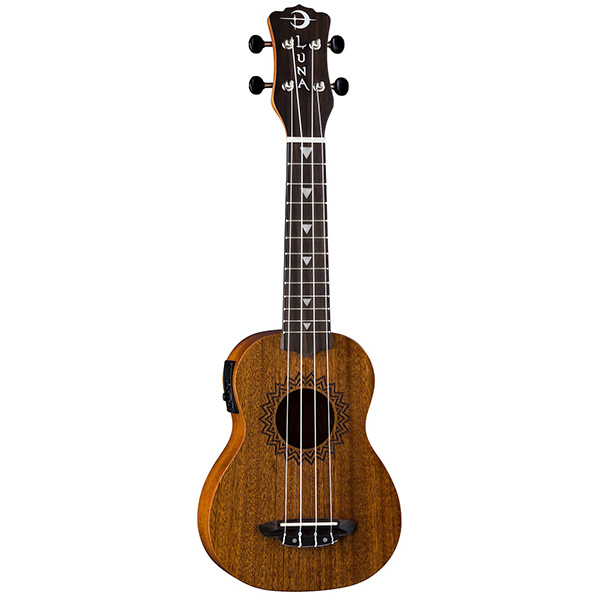 Easily amplify your sound and dial it in quickly using the onboard Luna UK-T2 preamp with onboard tuner. 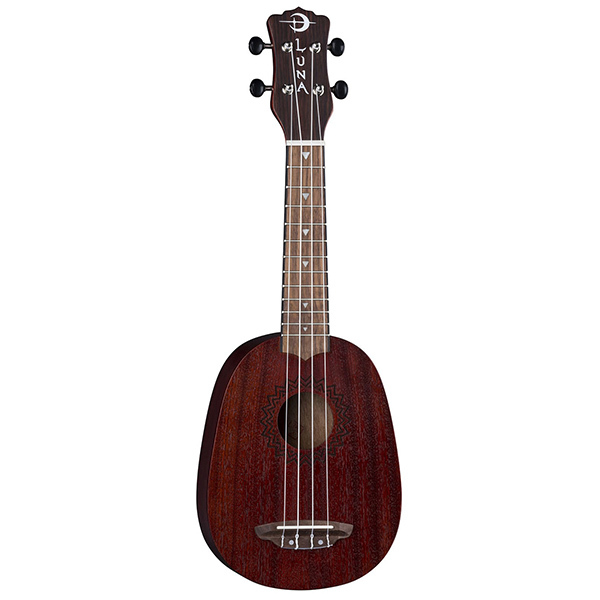 Expect warm deep bass sound from the all mahogany larger body and keep that rhythm in tune with the sturdy black open gear tuners. Join the Luna Tribe!